Provides bite-sized readings to remind women of their place in Christ and of his love in the midst of their busy lives. Fitzpatrick shows how gospel truths can refresh women's souls every day. Fitzpatrick's redesigned devoitonal book provides busy women with daily reminders of how the gospel connects to their daily lives. Many women don't always find solace in their relationship with Christ because they don't see how his life, death, and resurrection connect with daily pressures and frustrations. Comforts from the Cross provides bite-sized readings to remind women of their place in Christ and of his love in the midst of their busy lives. 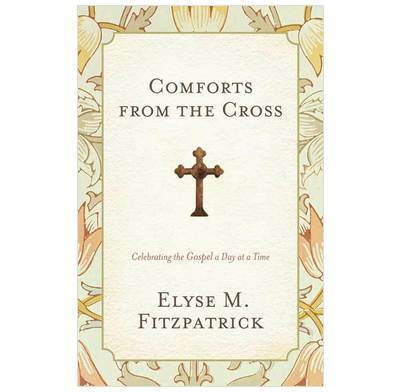 Elyse Fitzpatrick shows how gospel truths such as justification, sanctification, and redemption can refresh women's souls every day. These five-minute celebrations of the gospel relieve readers of legalistic condemnation and empower them for joyful obedience. Great for gift-giving or personal encouragement, Fitzpatrick's book will help busy women grasp the comforts of the gospel message.